Style, quality and service define AFR Event Furnishings. We pride ourselves on being the event furniture rental partner that helps create exceptional, one-of-a-kind events for clients in Los Angeles, Las Vegas and nationwide. AFR’s diverse furniture and accessory rental inventory is able to transform any meeting, event, or ballroom space into a functional and memorable experience accommodating any type or any size event. 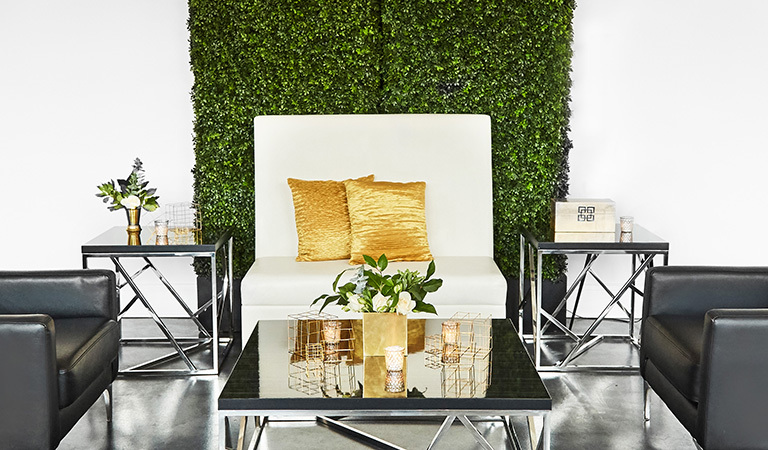 Whether it’s a corporate meeting, trade show, red carpet event, gala, or wedding, using AFR’s exclusive event rental furniture product line will ensure your guests leave with a lasting impression. Choose from lounge groupings, bar set-ups, and accessory décor elements, such as rugs and pillows, all available in a wide range of colors and patterns. We excel in providing custom branded, trend setting environments! Combine our event furniture rentals with your logo or message and create the ultimate branding tool. Any print idea you can dream of can be used on our bars, tables, display units and event furniture for rent. AFR Event Furnishings takes pride in unwavering dedication to excellence. Need event furniture rentals in Los Angeles, Las Vegas, Miami, Chicago, New York City, Dallas, or anywhere else in the United States? With locations throughout the United States from Florida to California, AFR can provide our client’s with event furniture rentals anywhere, any time.